Forget the clutter. 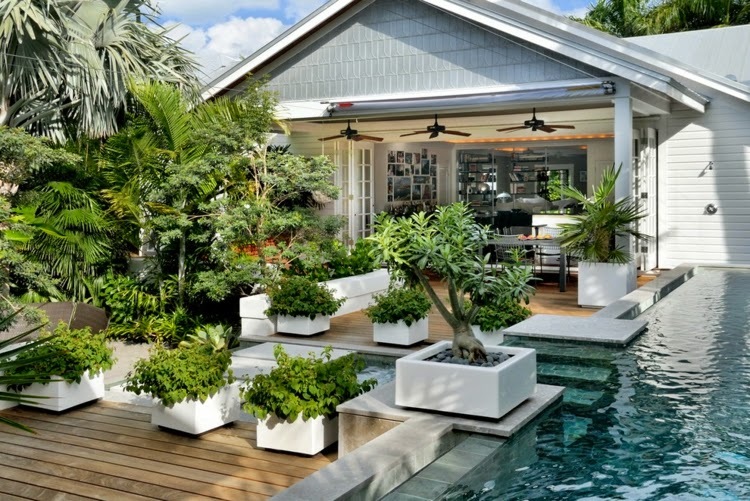 Modern landscape design is known for a clean, minimalist look. A naturalistic landscape design emphasizes wavy borders and free-ranging plantlife. 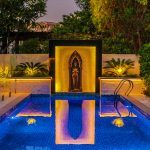 Milestone Project – Villa in Palm Jumeirah, backyard landscape transformation. In contrast, a modern landscape emphasizes geometric shapes and straight lines. Modern design elements are meant to reflect and relate to the surrounding architecture. One of the key ways to know if your modern designs are successful is when every element in the landscape is imperative. Even so, when you get rid of the clutter, the simple beauty and sleek, sophisticated style of modern design shines through. 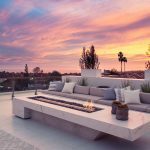 Here are a few tips to set you on the path to creating the sleek, clean, modern design landscape you have been dreaming of. Let’s get geometric! When designing your modern landscape, think triangles, rectangles, squares, and circles. 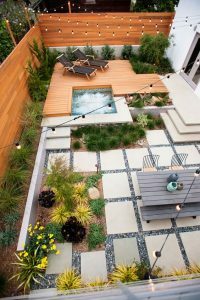 Not only are all of these shapes key pieces in modern landscape design, but they also look fantastic. 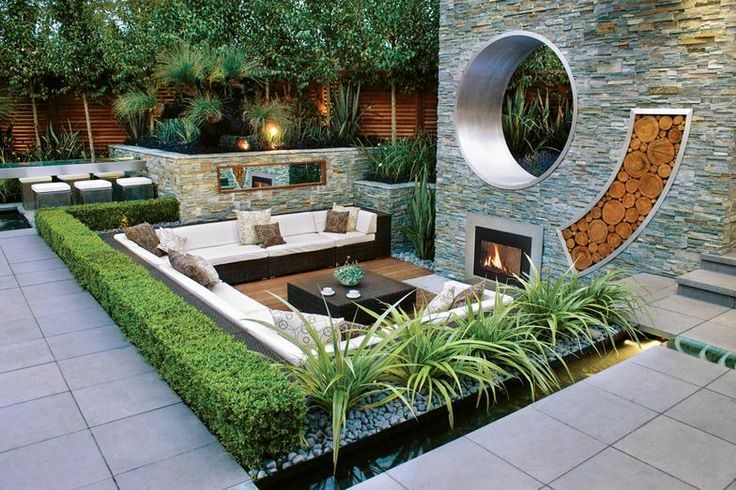 Aside from adding a clean-lined modern look, these geometric shapes allow you to create defined areas in your garden. For example, a straight-lined stone path can lead you to an outdoor seating area. You can further define this area by adding a squared boxwood enclosure. 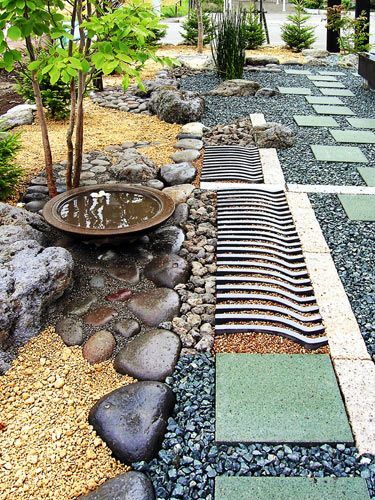 Consider circular stepping stones leading to an outdoor pool area, or perfectly placed sculptural accents. Geometry goes beyond ground cover and stones. You can also use it in the plants you add to your modern landscape design. Additionally, concrete and gravel are hallmarks of modern design. Consider pavers with alternating lengths to create interesting movement within your space. The possibilities are endless. Inside a modern villa, everything has its place. Clean lines dominate, and clutter is strictly forbidden. 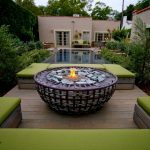 These same design concepts should be applied to create a modern landscape design. Unlike a traditional English garden, where it’s elegant to let plants roam free and wild, a modern landscape is very controlled. 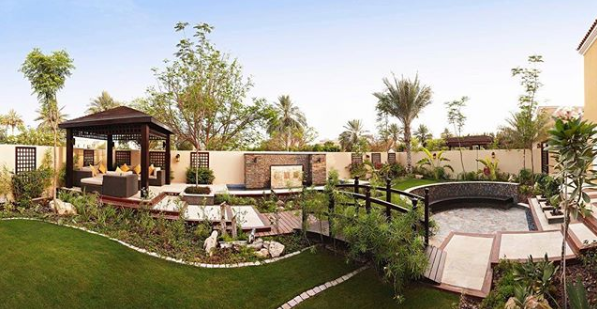 For example, the modern garden design includes clean lines, and minimal manicured plants, with every element distinctly placed. 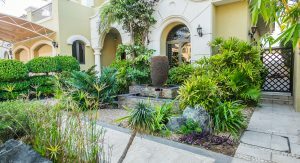 Plants in a modern landscape are manicured and clearly defined in tidy spaces to create the pristine look most other landscape designs fail to achieve. 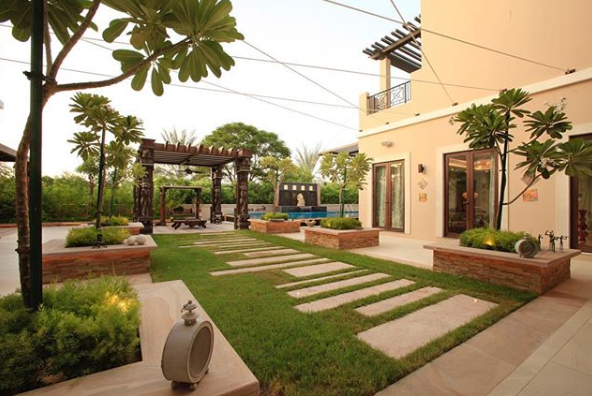 Additionally, modern landscape design uses symmetrical rows of grasses and shrubs to create a sleek appearance. Milestone Project – Pergola and backyard landscape design & build. Japanese boxwood is a modern landscape design favorite because it can be clipped and manipulated into different shapes. However, soft-textured plants, spiky plants, and any plant with a bold visual impact can create the right effect for modern landscape. Stone and ground cover are essential tools to create a modern landscape design. These items can be used to divide your landscape into areas. Additionally, they lead the eye from one section of your landscape to another. Consider a low strip of planted ground cover Carissa to create a modern border around a garden pathway or pond. What’s more, concrete can be used to create a squared path to a pool. However, these accents don’t necessarily have to lead you somewhere. Milestone Project – Pergola and backyard landscape transformation. Instead, you can use these elements as visual tools to pull your design elements together. 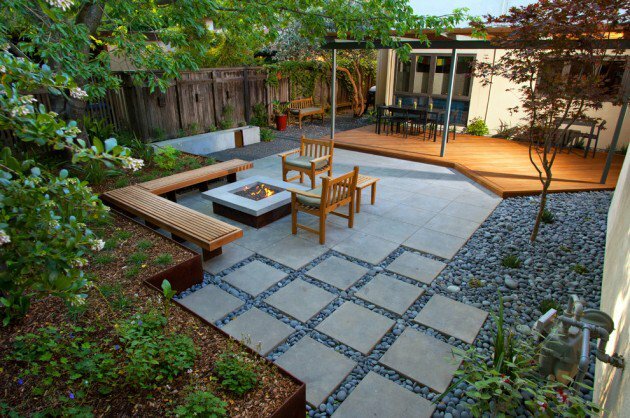 Many modern landscape designs include zen elements. Including a square sand garden with a few well-placed rocks is the perfect modern element to enhance your landscape design. Not to mention, it’s a unique focal point for your space. Rake lines into the sand garden, swirling them around your stones. This will create a soothing and modern landscape design element. As you can see, a modern landscape design includes many distinct elements. 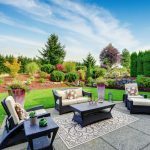 If you remember to include clean lines, stone paths, lots of geometry, and distinct borders, you’ll be on the right path to creating a modern outdoor space. Need a little help? Contact the design team at Milestone to schedule your free consultation.